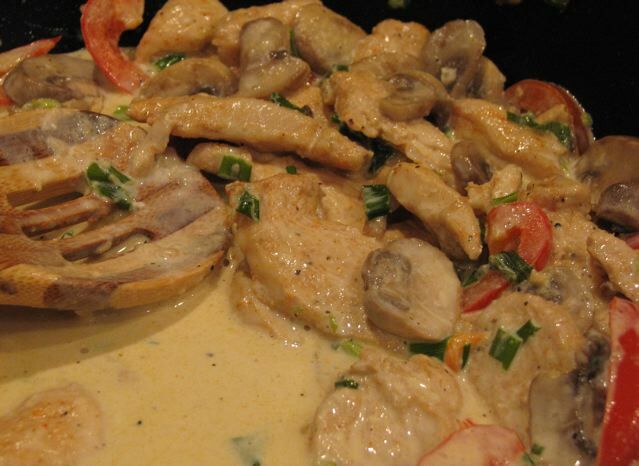 Here is another favorite recipe using the Konriko brand Creole Seasoning. 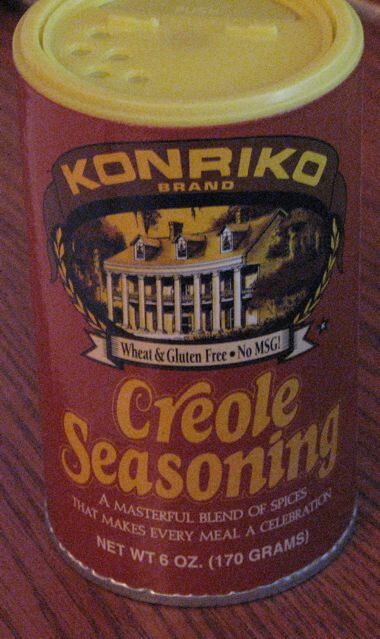 (See post about Konriko Creole Seasoning under Products). Sorry I don’t have any pictures of it, but it is a snap to make and assemble. I got the original recipe from the Taste of Home sister magazine: Quick Cooking. I’ve made some changes to suit our personal taste. My kids love this one too and I do lighten the seasoning on their chicken — sprinkle to taste. It would be a great sandwich for a picnic in the park too! Flatten the chicken to 3/8 inch thickness; sprinkle with Cajun/Creole seasoning. In a skillet, cook chicken in oil for 5 minutes on each side, or until juices run clear. Place cheese over chicken. Remove from the heat; cover and let stand for 1 minute or until cheese begins to melt. Spread dressing on toasted bread halves. Layer bottom halves with two slices of tomato each. Then place chicken on top, followed by crisp bacon; replace tops and enjoy. Categories: Ethnic - Creole/Cajun, Favorite, Main Dish, Main Dish - Chicken, Sandwiches | Tags: Cajun seasoning, Chicken, Chicken Club Sandwiches, Sandwiches | Permalink. This recipe is both easy to prepare and easy to eat! My husband and I love the balance of spices. I think it is well worth buying the Konriko brand Creole Seasoning to make this dish. I posted information about it on my previous entry. It used to be available in the grocery stores, but lately I can only find them online. The recipe calls for linguine pasta, but any pasta will do. We find the Penne pasta to be the easiest to pick up and eat and Barrilla’s penne has ridges so the sauce stick to it a bit and it quite good. I found this recipe in an old Taste of Home Magazine. They had a column called “I wish I had that Recipe” that featured a recipe of a restaurant. It truly is a favorite of ours. I hope you enjoy it too. Place chicken strips and Cajun/Creole seasoning in a bowl or resealable plastic bag; toss or shake to coat. In a large skillet over medium heat; saute chicken in butter until almost tender about 5-7 minutes. Add peppers, mushrooms and green onion; cook and stir for 2-3 minutes. Reduce heat. Add cream and seasonings; heat through. Add linguine and toss, heating through. Sprinkle with Parmesan cheese. Enjoy (I usually double the recipe and have left overs). This recipe serves two, but you may increase it to the size of your family. I usually prepare a separate batch of chicken without Creole seasoning for my kids who do not like spicy foods too much, but every family is different. 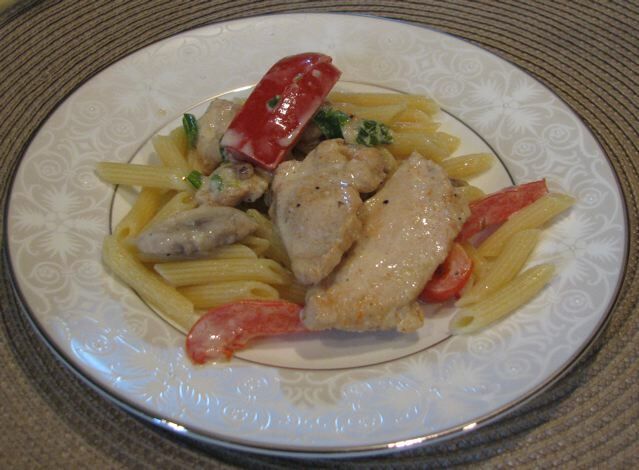 Categories: Ethnic - Creole/Cajun, Favorite, Main Dish - Chicken, Main Dish - Pasta, Top Picks | Tags: Cajun Chicken Pasta, Chicken, Pasta, Recipes | Permalink. I make several dishes with this that my family loves. One is Cajun Chicken Pasta (my next post) and another is Cajun Chicken Club Sandwiches. The flavor is nice and spicy, but not overpowering. It is so good in fact that when I have people over and make one of these recipes that I buy more than one at a time and then am able to give the seasoning to my friends to take home. It truly is a very nice blend of spices and I recommend it very much. Categories: Ethnic - Creole/Cajun, Products | Permalink.